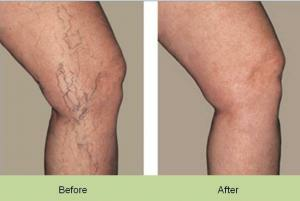 and very affordable treatment solutions for those who have unsightly and troublesome leg, body and facial veins. 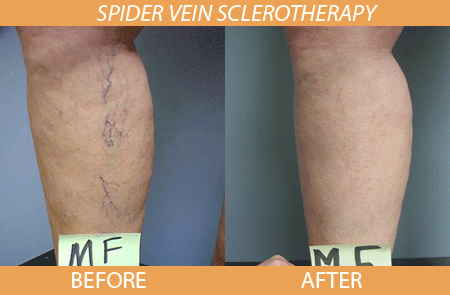 Not many Sclerotherapists treat the underlying cause but Karen does. We know that thread veins on the surface are caused by deeper reticular or feeder veins that you can not see. 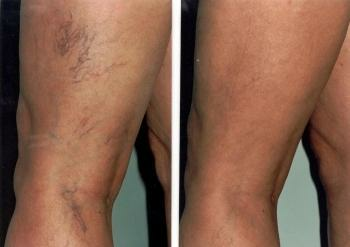 Using a powerful vein light scan Karen can precisely treat various sizes of these troublesome deeper veins. It is routine at North Wales Aesthetics Clinic to treat the deeper veins prior to injecting the surface veins. This ensures a more comprehensive treatment with a goal to a permanent outcome. A diagnosis is vital. It is impossible to diagnose just by looking at your legs, what is going on under the surface, the cause of the veins, whether you have varicose veins or not and how sever the problem is. However you can have the answer to all these questions by scanning your legs and looking at the veins on the inside. Because the scan and screening of your legs is so important for diagnosis and to form a treatment plan, here at North Wales Aesthetics Clinic, we offer leg scans for free. The scan and assessments of your legs takes about 30minutes and this includes explanation time so that Karen can comprehensively inform you about what is happening inside you legs and what treatment is best for you. Visible clusters of red, purple and blue veins on the legs are unsightly and troublesome for millions of women and men. Symptoms can include aching, burning, throbbing and night cramp. Many people restrict their wardrobe to trousers, and wearing skirts and shorts is a thing of the past. A series of sclerotherapy treatments 4 weeks apart over a period of 6-12 months will improving the appearance of the legs considerably and in some cases completely. After assessing and scanning your legs Karen will honestly advice you on what improvement outcome to expect. She will also advise you how many treatment session you would require to achieve vein free legs. Spider / thread veins and reticular veins are dilated visible blood vessels that lie just beneath the surface of the skin. A tiny micro needle introduces a solution into the vein that causes the vein to collapse and fade away. 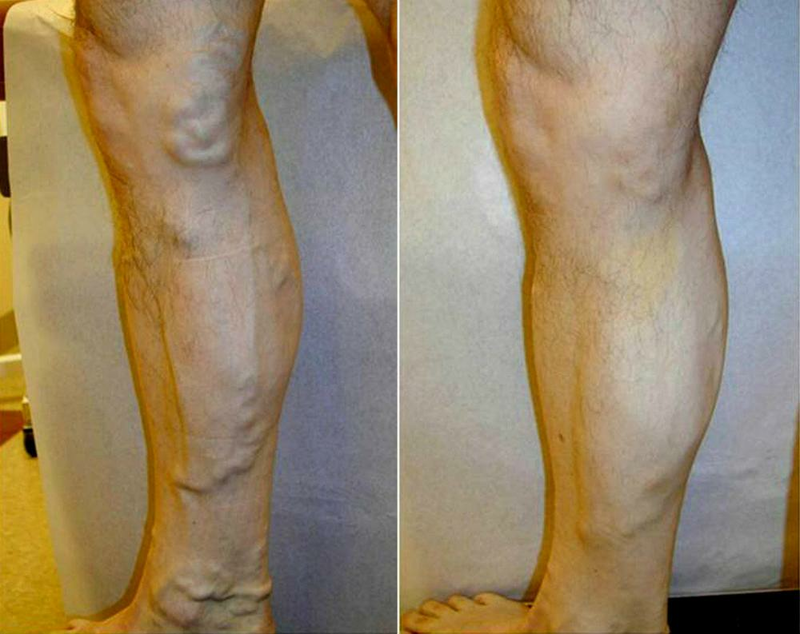 As these small veins are not essential to the deep venous system, Sclerotherapy is the ideal treatment. 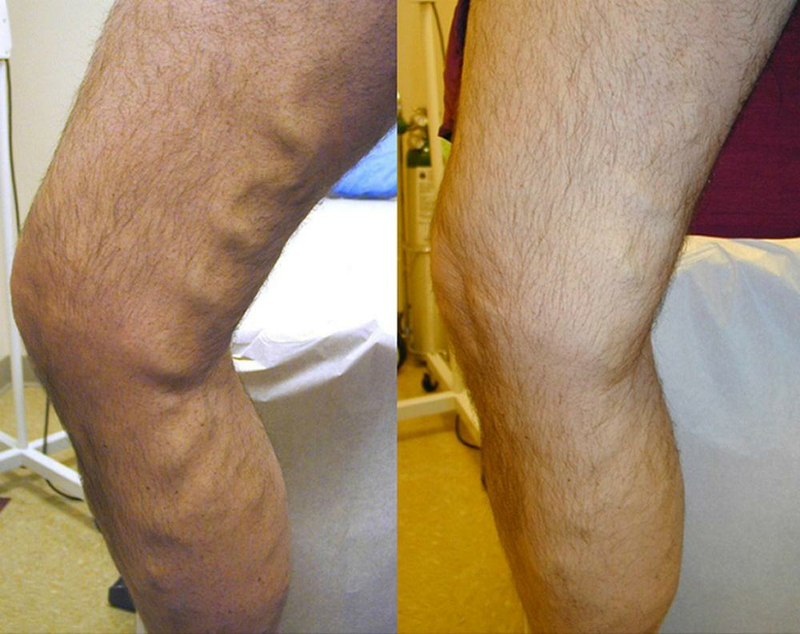 It is not possible to achieve 100% clearance of the veins in one treatment session. In most cases you will see up to 60% improvement after the first session and up to 80% improvement after 2 or more sessions. Most people require multiple treatment sessions. During each treatment session, a 10 ml dose of the sclerosant drug is administered and this is repeated 4 weekly until all veins have been treated successfully. Karen uses a powerful vein light to scan the deeper reticular veins during the treatment procedure which identifies the deep veins that are causing the problem, and when they are treated this brings a higher success rate. Once all the deeper troublesome reticular veins have been treated, Karen will then treat the superfical thread veins. Medical grade compression stockings are applied and we advise that you wear them following all treatments to ensure that the veins treated are compressed preventing them re filling and the treatment outome being unsuccessful. Karen will supply one pair of medical grade compression stockings free to all her clients. Due to the large volume of stockings that North Wales Aesthetics Clinic purchase from manufacturers, our clients can purchase additonal pairs at a lower cost than manufacturers retail price. A series of before treatment photography is taken so that we can monitor the outcome of your treatment. All photography is treated with strictest confidentiality.